The best part is the students. They have so much to share from their own life experiences; I learn a lot from them. It’s time to give us your thoughts. Please click on the link and fill out the Evergreen Forum Spring 2019 Evaluation. We look forward to hearing about your Evergreen experience! 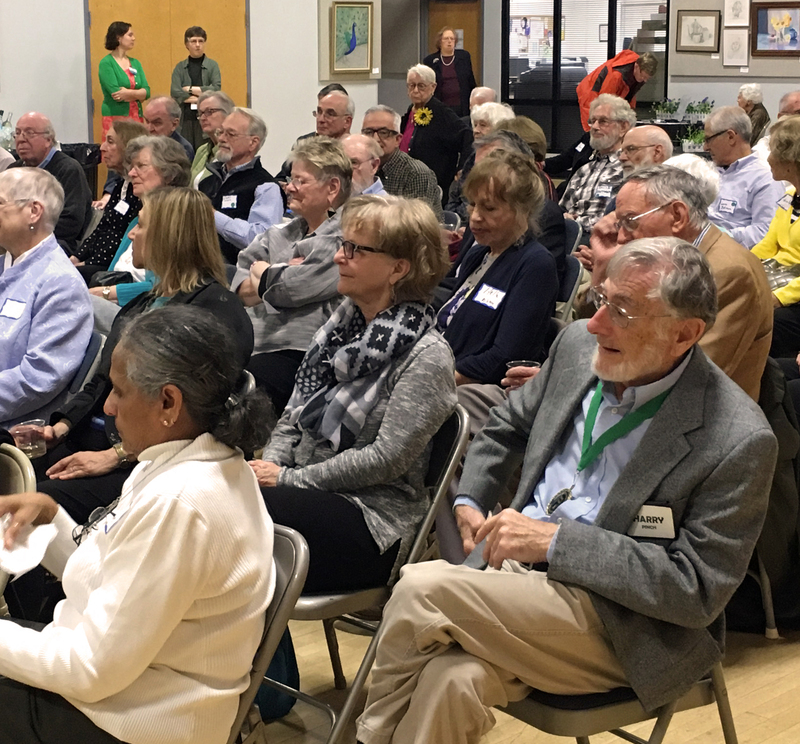 WELCOME to the Evergreen Forum, a program of the Princeton Senior Resource Center (PSRC). We are well into our second decade! The Evergreen Forum has grown dramatically since 2001, from 40 participants in four classes the first semester to more than 600 in 28 classes recently. The organization is led by a volunteer Steering Committee with volunteer instructors. It is a member of the Road Scholar Institute Network. The Forum provides stimulating daytime study and discussion programs for adults from throughout the greater Princeton area. It encourages active participation for those who enjoy learning for its own sake. Our course leaders are drawn from teachers and other professionals devoted to their subject and wishing to share their enthusiasm. Most of the courses take place in the Suzanne Patterson Building or at Monument Hall in Princeton. Others are held in various locations including the Presbyterian Church of Lawrenceville. The church is on Route 206 by the Lawrenceville School and on the NJ Transit bus 606 route. It is our vision that this expansion will help us plan and prepare for future growth! Due to the popularity of The Evergreen Forum and our commitment to small discussion-based classes, participants for over-subscribed courses are selected by lottery. Detailed course information is emailed to students at least two weeks prior to the start of classes, which generally run for eight weeks. Governance of the Evergreen Forum is conducted by a Steering Committee elected by participants in the program at an Annual Meeting. The Steering Committee makes policy with respect to the courses offered, the recruitment and evaluation of course leaders and the conduct of the Annual Meeting and other meetings for participants. PSRC manages all administrative aspects of the program. Steering Committee positions include Chair, Vice-Chair, and Secretary as well as Standing and Ad Hoc committees with specified responsibilities. Participation in the Evergreen Forum is required to serve as a member of the Steering Committee or any other Evergreen Forum committee. Participants are persons who have taken or led an Evergreen Forum course. They are encouraged to contribute to the administration and operation of the program by serving as officers, committee members and course leaders. They are also invited to attend the Annual Meeting to vote in the election of Steering Committee members and on other such matters as presented by the Steering Committee.